Workplace Giving is an easy way to support The ALS Association Northern New England Chapter. Your gift supports patient service programs and nearly 80 research projects throughout the world. Giving at work through payroll deductions is simple and there are many convenient ways to contribute. As a member of Community Health Charities (CHC), The ALS Association is also one of the approved health charities participating in the Combined Federal Campaign. 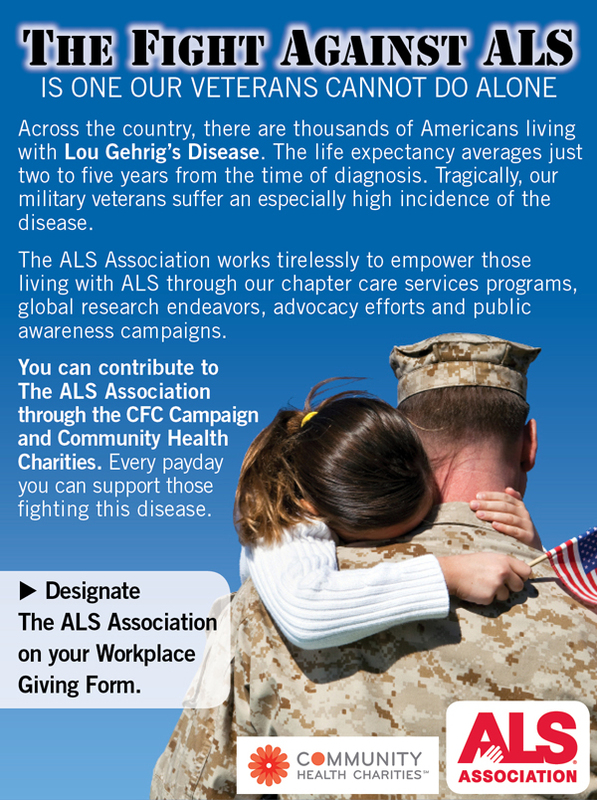 Federal and state employees and members of the military are encouraged to participate in the CFC and may designate The ALS Association Northern New England Chapter by writing The ALS Association - Northern New England Chapter on the Workplace Giving Form. For additional information or if you have questions, please contact us. or fax it to: 603-226-8890.